Long time Rubio Long Snapper and TOP 12er Chris Longo has been put on scholarship at UCLA! Longo started all games last season and performed well enough to earn himself a full scholarship. 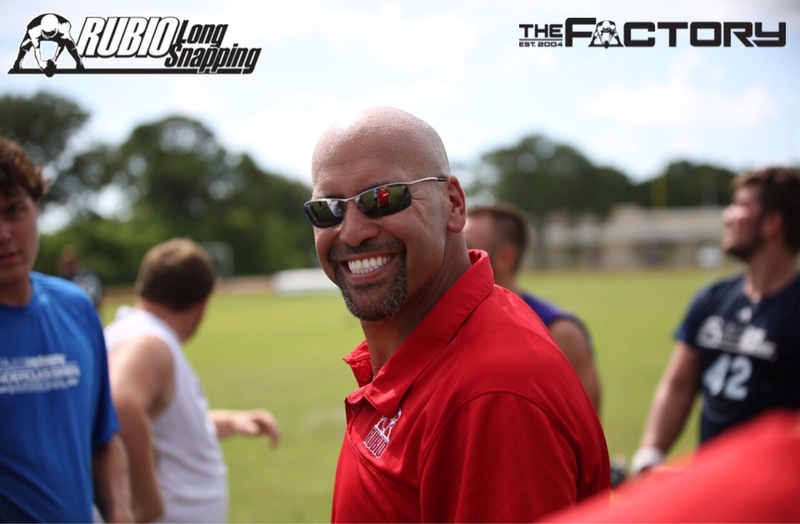 Longo has been with Rubio Long Snapping since 2009 and has gradually gotten better over time. He is built very long and can rip the ball back to the punter. He came off a knee injury two seasons ago and battled to win the starting job. Congratulations to Chris Longo and his family! Rubio Long Snapper Erik Thompson Commits to UCLA….for Rugby! Rubio Long Snapper and TOP 12er Erik Thompson has committed to UCLA for rugby! Erik had fantastic grades, is as tough as nails and obviously a tremendous athlete and I am very proud of him. Congratulations once again to Erik Thompson! Rubio Long Snapper Reed Buce commits to UCLA! Rubio Long Snapper Reed Buce (AZ, ’13) has committed to UCLA as a preferred walk-on! Reed is rated the #6 Long Snapper in the country and a member of the 2012 TOP 12! He is a terrific Long Snapper with great form, solid frame and wonderful attitude. UCLA has always been a dream school for him, so he couldn’t pass up this opportunity. Buce looks to compete for the starting job immediately in Westwood. He will be joining Rubio Long Snappers Chris Longo and Jay Weneta for the Bruins. Once again, congratulations to Rubio Long Snapper Reed Buce! Rubio Long Snappers have departed from the 11th Annual National Event in Las Vegas and to say the event was a success is the understatement of the world. Long Snappers from all over the country and even the world participated in the two-day event on January 19th and 20th at Faith Lutheran High School. The Long Snappers competed in various skill competitions and were ultimately narrowed down to 12 finalists. The finalists competed in one last skill competition using a specific finals round target to crown the champion. That Champion was Alabama commit Cole Mazza. The 6-1 240 pound Mazza is from Liberty High School in Bakersfield. Mazza was offered by many D1 schools including UCLA, Utah and Washington State and will be a key component to the National Champion Crimson Tide in the coming years.